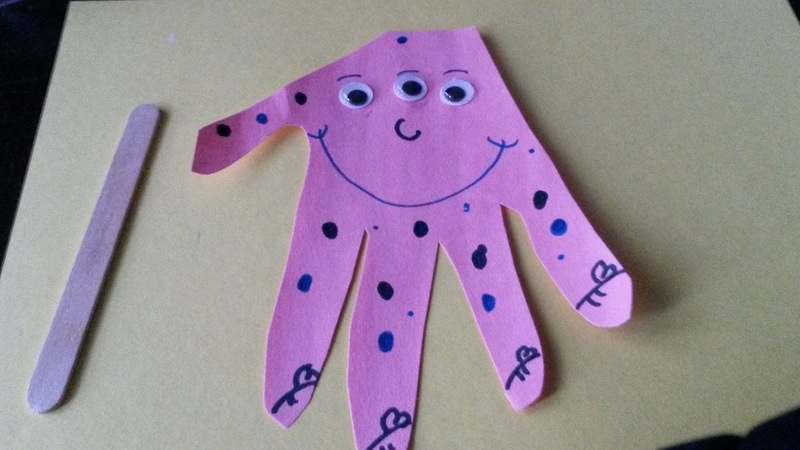 These hand print puppets are adorable and they will be a monstrous hit with your kids! They take the most basic of supplies and come together in a flash for a lot of fun for everyone! We love to make puppets you guys. Harper and I can craft up a handful of puppets and she will spend the rest of the day, wrapped up in a world of her own dramatic creation! 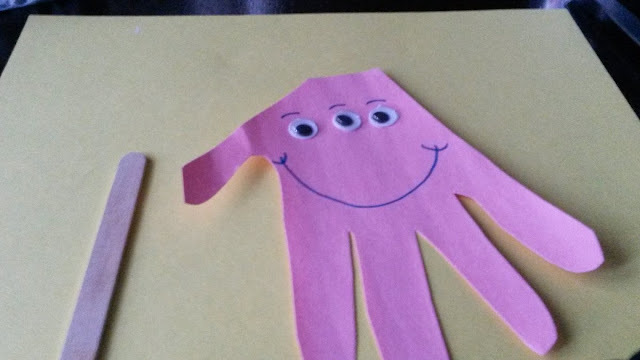 We decided that now was the perfect time to make a few easy peasy hand print monster puppets! These were fun because they ready to play with in a matter of moments and they were so cute! 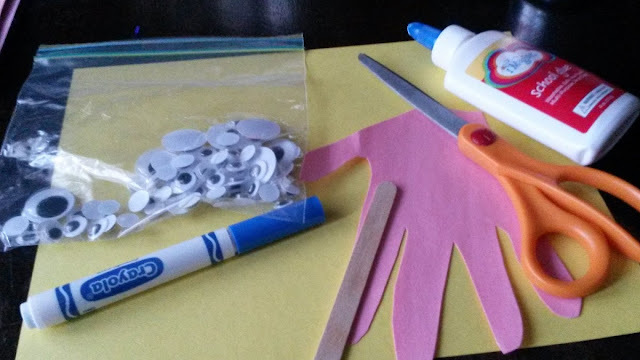 Trace a hand on construction paper. Glue on as many eyes as your child desires. We used 3. Draw polka dots, hearts or whatever you like to give your monster a fun look. Glue the craft stick on the back, leaving enough room for small hands to hold on to the stick. There you have a fun handprint monster for Halloween dramatic play! You might also like this hand print fish puppet idea.